News - Do I Need a Permit to Build My VersaTube Shed? Do I Need a Permit to Build My VersaTube Shed? 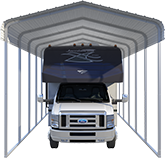 A VersaTube shed is an incredible way for you to get the extra storage and space you need. From having secure storage for tools and lawn equipment, to building a small backyard workshop, a shed from VersaTube is a great option for you. 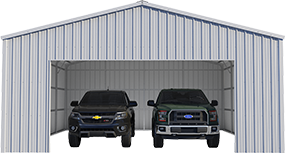 Sheds from VersaTube come in all sizes, so it’s easy to pick your perfect steel utility shed by choosing one of our standard kits or by using our online designer tool to get real-time pricing on a personalized structure. After you pick out your perfect shed, don’t forget to do your research on property lines and permits to make sure your shed construction goes with ease.In some areas, construction of a shed requires a permit from the city, county or other jurisdiction. As a matter of health and safety, and for general insurance purposes, if a permit is required the jurisdiction will want to know that things are being built correctly and are compliant with local building codes. Although we would love to give you a clear cut “yes” or “no” answer, there are multiple factors involved in whether or not you may need a permit for your shed. Check your city or county’s website for help, or call or stop in the office with your questions. There’s almost always someone around who’s willing to help. you are located in a place where there is severe weather such as tornadoes and hurricanes. you are running electrical to your shed. We’ve found most building and zoning offices to be helpful assets as our customers plan the construction of their VersaTube buildings. When you ask good questions, work hard toward following the rules and code, and apply proactively for a permit if you need one, your local officials will see that you are serious about doing things correctly. A good relationship with your local offices will be an advantage to you as you go through the building and inspection process. Do I need a permit to build my VersaTube barn? 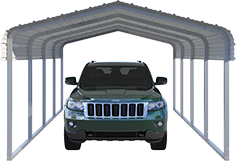 What's the best garage or carport for your electric car?